Hilbert have launched two new Income generating structured products, each with a different risk profile designed to provide quarterly returns to investors. The first product is linked to the performance of the FTSE 100 index and aims to provide a return of 2.05% per quarter while the second is linked to the performance of both the FTSE 100 and EUROSTOXX 50 indices and aims to provide 2.33% per quarter. The ‘UK Conditional Quarterly Autocall Issue 4’ and the ‘Conditional Quarterly Autocall Issue 13’ both have 10-year investment terms and are available through direct investment, an ISA or via an investor’s self-invested personal pension (SIPP). With the current uncertainty in the markets, structured products such as the Hilbert Plans are becoming increasing popular as they can offer both positive returns in a falling market with a degree of capital protection. As an example the ‘UK Conditional Quarterly Autocall Issue 4’ has a coupon barrier of 80% meaning that if we take the current intraday level of the FTSE 100 as our hypothetical strike level (6,845 as of 14 January 2019) the index has to fall to 5476 points on the quarterly observation date before the product stops paying income. Likewise the 60% European barrier offers capital protection should the FTSE 100 not have fallen more than 40% on the final day of the of the 10 year term, that means from our Hypothetical strike level the FTSE 100 could fall as low as 4107 points before investors lose money. Of course these are all subject to Counterparty risk and the specifics detailed in the plan literature, so it’s important for investors to read the full product terms in our Investment Guide and Key Information Document. This communication is not to be seen as ‘financial advice’. Obtaining financial advice is a process of gathering ‘Know your Customer’ details, leading to a suitability outcome of advice. Advice is always specific to the individual, Company, Entity. 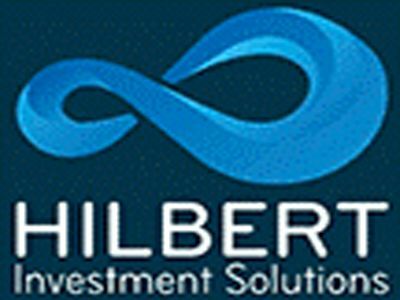 We like the Hilbert offerings where inclusion within a portfolio/investment programme is certainly a consideration to prudent, studious investors. If you require advice in relation to this or any other plans or products simply get in touch.